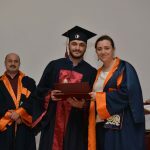 The graduation ceremony for the Fall Term of the Academic Year of 2018-2019 was realised at the Hall 4 of Grand Library with great excitement. 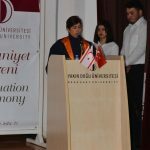 According to the press release issued by the Directorate of Press and Public Relations of Near East University, Vice Rector of Near East University Prof. Dr Fahreddin Sadıkoğlu, Dean of Faculty of Tourism and Head of Tourism Research Centre Prof. Dr. Tülen Saner, academicians, students and families attended the ceremony. It was stated that in accordance with the conventions, the ceremony began with a minute’s silence in memory of great leader Mustafa Kemal Atatürk, Great Turkish Cypriot Leader Dr. Fazıl Küçük and Founding President of the Turkish Republic of Northern Cyprus Rauf R.Denktaş; alongside everyone else who have sacrificed their lives for our country. This was followed by the national anthem. 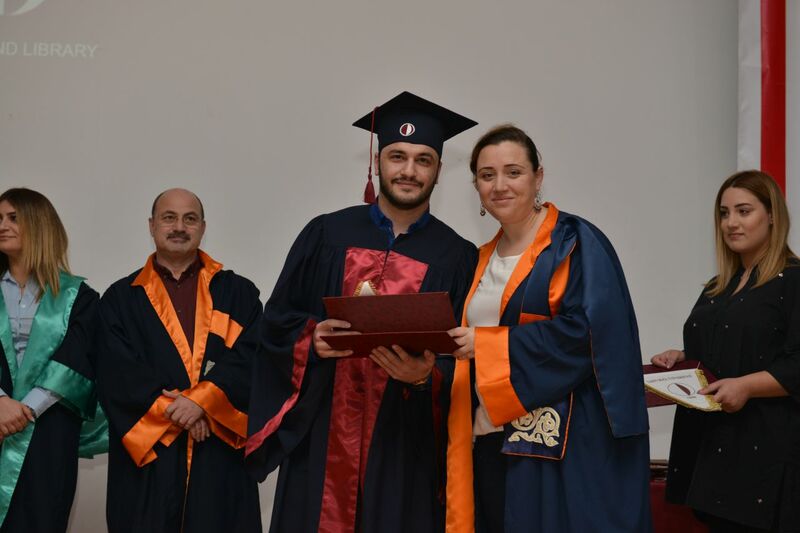 Later, a music performance was made by İlyas Abdullin, academic member of the Department of Music Teaching of Atatürk Faculty of Education, which added a zest to the ceremony. Dean of Faculty of Tourism of Near East University and Head of Tourism Research Centre, Prof. Dr. Tülen Saner, made a speech and expressed that Faculty of Tourism was a school which adopted offering quality in education as a principle. She emphasised that the academicians of the faculty worked devotedly in order to raise graduates in the best possible way so that all doors, which they came across in their career lives, opened. 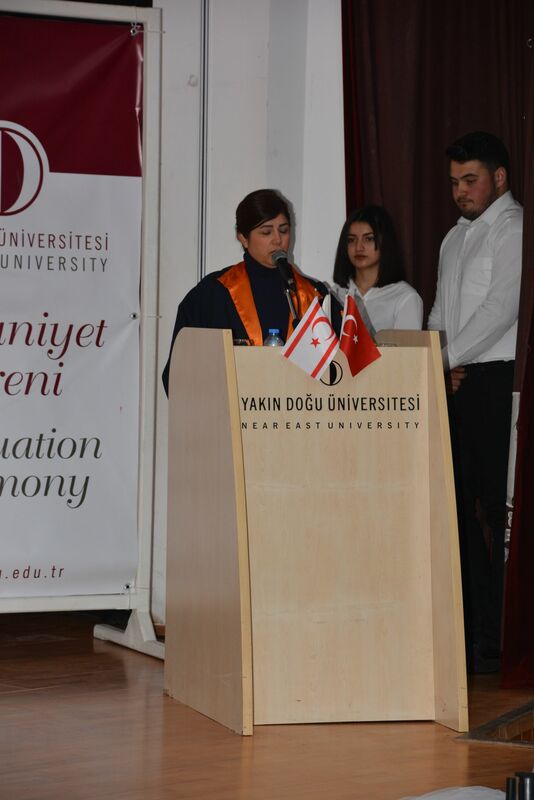 Prof. Dr. Tülen Saner expressed that as the Founding Dean of the NEU Faculty of Tourism she wanted to share the pride and excitement of two successes they had achieved. Firstly, she reminded everyone that they had began the journey as a vocational school and as a result of their intensive and meticulous work, they had achieved to be a faculty starting from November 2018. Secondly, she said that they were rather proud that the Department of Gastronomy which was founded in 2014 was giving its first graduates this year and keeping the Near East tradition alive and participating in the competition for the first time, the NEU students came back with a bronze medal, making everyone rather proud. In this regard, Prof. Dr. Tülen Saner expressed sincerest special thanks to their chef, lecturer Ergun Ekinci and students Zerrin Doğanöz and Okan Dağ for their achievement. 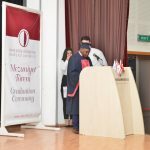 Furthermore, she addressed the graduands stating that being awarded a diploma was a consequence of all their hard work throughout their higher educational lives. She emphasised that the graduands deserved to get their diplomas with great pride and joy since they had worked hard. Prof. Saner also addressed the families and stated that their children were beginning their professional lives and that this was a time for them to stand on their own two feet. She expressed gratitude to families for enabling their children to come to such state and added that they were aware and grateful of all their commitments. In this regard, Prof. Saner expressed that the families of the graduands had every right to be proud of the students’ achievement. 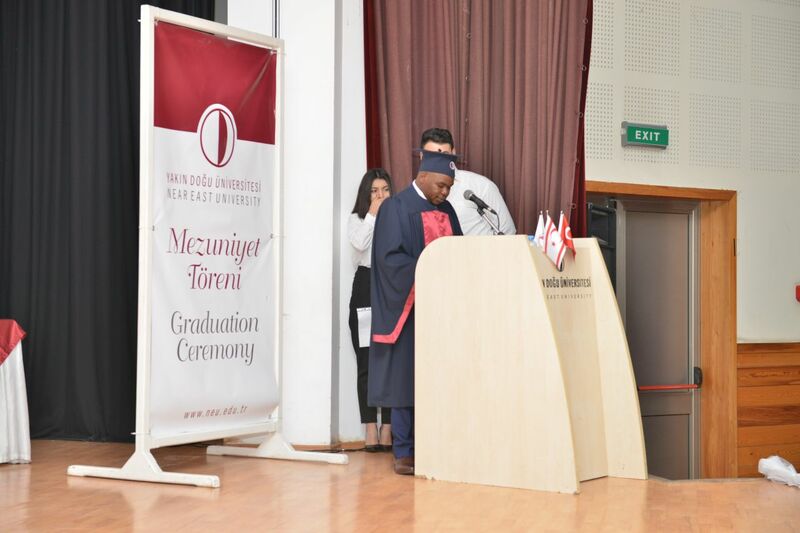 Subsequent to the opening speeches, graduand Onur Baş made a speech on behalf of the graduating Turkish students; whereas Kudakwashe Mudhefi made a speech on behalf of the graduating overseas students. In his speech, Onur Baş stated that Near East University played a significant role in offering the best opportunities for students to get education in an academic environment which is free and does not have any limitations. He emphasised that Near East University played a significant role in each of their productive work and successes. For this reason, he expressed many thanks to the Near East University for all the facilities provided and the education they received during the entire undergraduate process. Also making a speech, Kudakwashe Mudhefi said that he wanted to express gratitude to Prof.Dr. Tülen Saner and everyone else from the Near East University family who had provided help and support throughout their years of study at the university. Prior to the presentation of the diplomas, Near East University Dance Group made a performance which was highly liked. It was stated that the ceremony ended after the diplomas were awarded to the graduands and the throwing of the graduation caps.